It’s always fun to receive something that is handmade, and even more so if it’s something unusual. 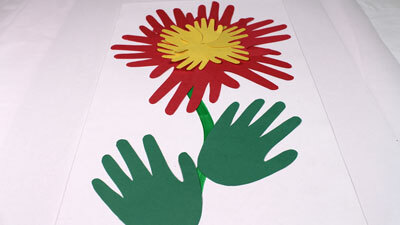 Here is how to make a giant greeting card with a flower on it. 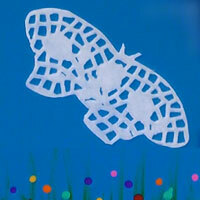 This project uses the small hands of a child and larger hands, cut out from coloured construction paper. This greeting card is a very nice project for Mother’s Day or for Grandma’s birthday, for example. To make the card, fold a large sheet of white construction paper in two. Then, take a large sheet of coloured construction paper and fold it in three. Trace the outline of an adult hand twice. Cut out both hands. All together you have 6 paper hands. These six hands will form the petals of the flower. 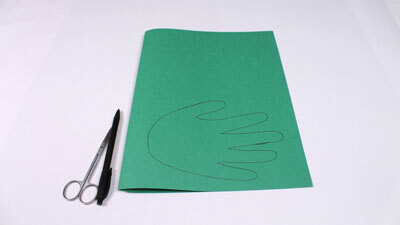 Take a sheet of green construction paper and fold it in half. Trace the outline of an adult hand once. 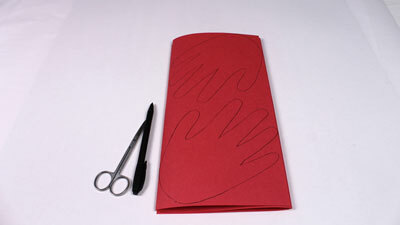 Cut out the outline of the hand and you will get two paper hands. These two hands will form the leaves of the flower. 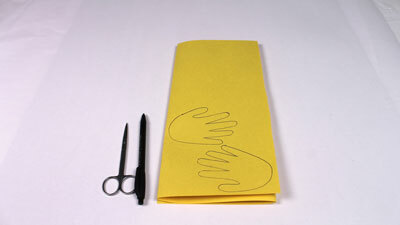 Take a sheet of yellow construction paper and fold it in 3. Trace the outline of a hand of a child twice. Cut the outlines of the hands. So you’ll have six copies of the paper hands of the child. These six hands will form the heart of the flower. 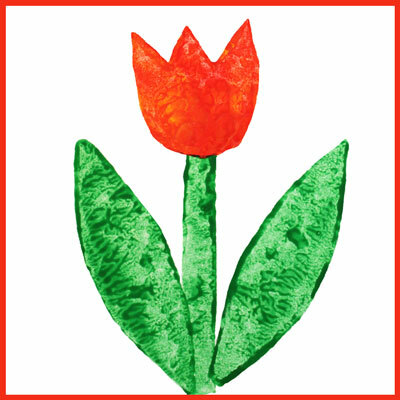 On the card, draw a green stem with a broad felt pen or with a brush and green paint. Glue the six petals of the flower at the top of the stem. 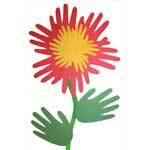 Then glue the small hands in the middle of the flower. Glue the two green hands on either side of the stem. And now it’s time to write a kind message inside the card.